Many little boys--as well as a significant number of girls--are fascinated by anything with wheels, so sleeping in a Little Tikes car bed is a real treat for these youngsters. With almost as many choices in styles and colors as a real car dealership, it's easy to find a car bed that fits into almost any size bedroom. Although the Little Tikes company makes a wide assortment of children's toys, furniture and accessories, they are frequently most associated with manufacturing beds for kids that are fun and functional. The sports car styles have been standard inventory items for several years. Other models related to movies and movie characters are also available. These car beds cater to kids who are three years old and up. They are all equipped to hold a standard twin size mattress and matching box spring, sold separately. The frames are adjustable to two heights to accommodate children of different heights and weights. This model mimics the sleekness of a real sports car, laying close to the ground with smooth lines and low-slung "doors" for easy access to the interior bedding. The oversized mag wheels add authenticity to the style, which is available in blue, white, red, yellow and pink. Based on the car driven by Lightning McQueen, the star of the Disney Pixar movie Cars, this multicolored bed will conjure up joyful memories of friendly vehicles with happy faces as the child dozes off to a sound night's sleep. Children who are just outgrowing their cribs sometimes need a transitional bed size before graduating to a twin bed. These racy roadster styles are for kids between 15 months and five years of age. They accommodate standard size crib mattresses (around 52 X 18 X 6 inches) with factory made supports. Mattresses can also be placed atop an appropriately cut piece of 3/4-inch thick plywood. Little girls will smile as they curl up in this petal pink car bed with ample head and footboards that resemble the style of a racy roadster. Both boy and girl toddlers love to snuggle in the interior of this cute car bed based on the one driven by Lightning McQueen in the animated Disney Pixar movie Cars. The company guarantees their beds to be free of defects in both workmanship and materials for one year from the purchase date, of which proof is required. The warranty is voidable if the bed is improperly assembled, poorly maintained or abused either intentionally or by accident. Normal fading of paint and scratches resulting from standard use are not covered. Only new items that are still in their original packaging and totally unassembled are eligible for return and refund. The return can be made within 30 days of the original purchase and requires a return authorization number issued by the company. 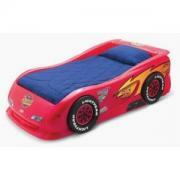 A Little Tikes car bed can brighten up any child's room and can provide hours of fun during playtime. In addition to car beds, Little Tikes offers other popular options like the cottage bed that reflects a fairytale theme and beds geared to boys' interests as well. 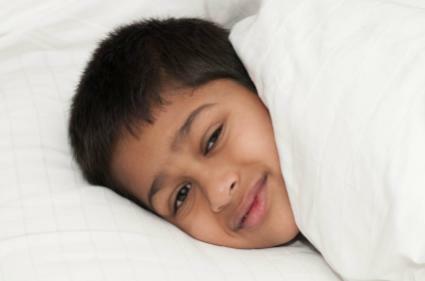 Showing kids pictures in catalogs or online can help determine what beds are most appealing to their different personalities.